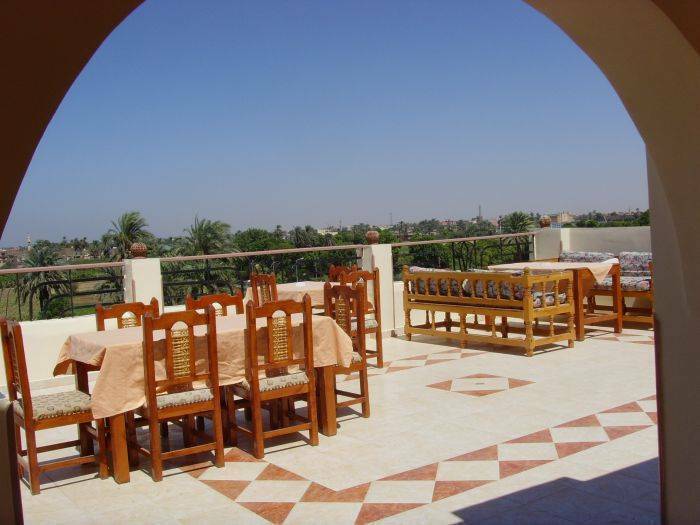 Clean & Comfortable Family Owned Hotel close to all the Monuments on Luxor's West Bank. 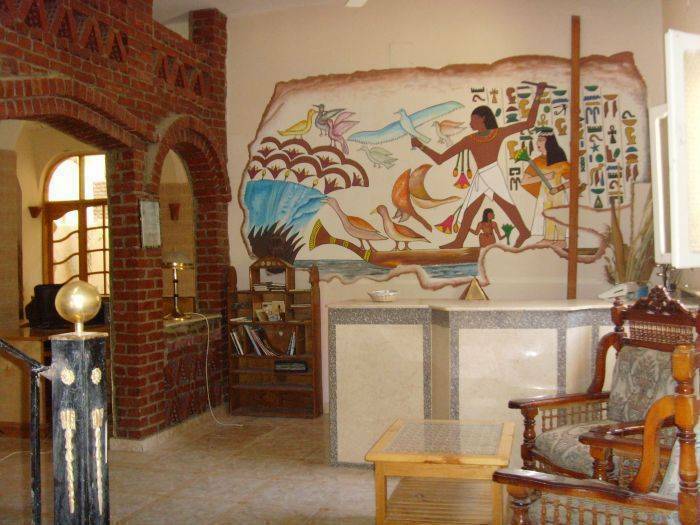 Hotel Kareem is located on a residential street only 2 minutes walk from the village center and 10 minutes from the main historical sites on Luxor's West Bank. 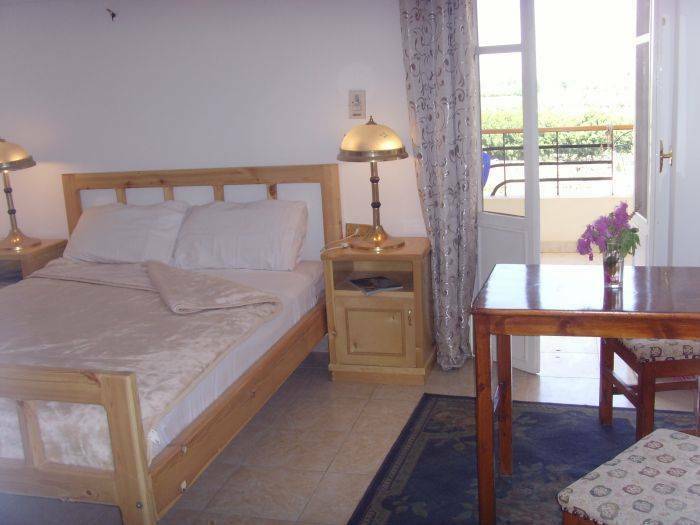 This 14 roomed ( All En-Suite ) little haven is renowned for it's Cleanliness and Homely atmoshpere. The Roof terrace Restaurant ( open to the public) has the most spectacular views of the Thebain Necropolis and the Temple of Queen Hatchepsut which are lit up at night to provide a breath-taking back-round setting to enjoy our critically acclaimed food. 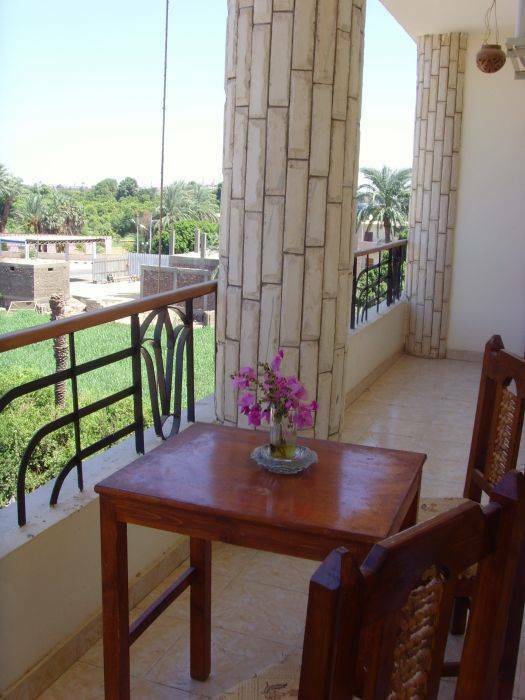 The In-door Restaurant on the ground floor has a private garden area to relax after a day visiting the Tombs, Temples and Monuments that Luxor have to offer. Hotel Kareem is aprox. 4 minutes walk from the local Ferry port so you can visit the East Bank of Luxor whenever you like. 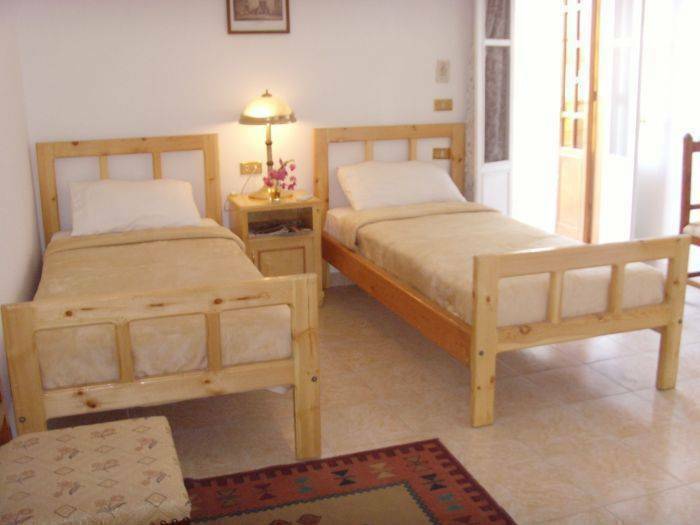 on Bed and Breakfast, Half Board or Full Board basis. Transfers can be arranged From Airport and Train Station. Train Tickets and internal flights can be arranged from reception. 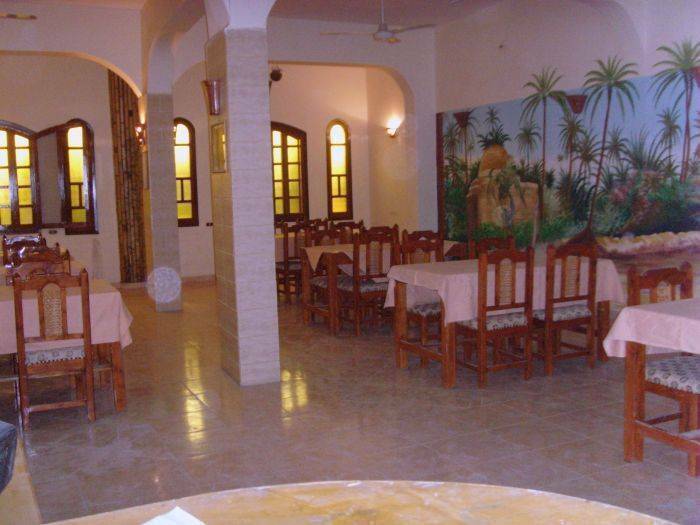 A range of tours and Excursions can also be arranged.